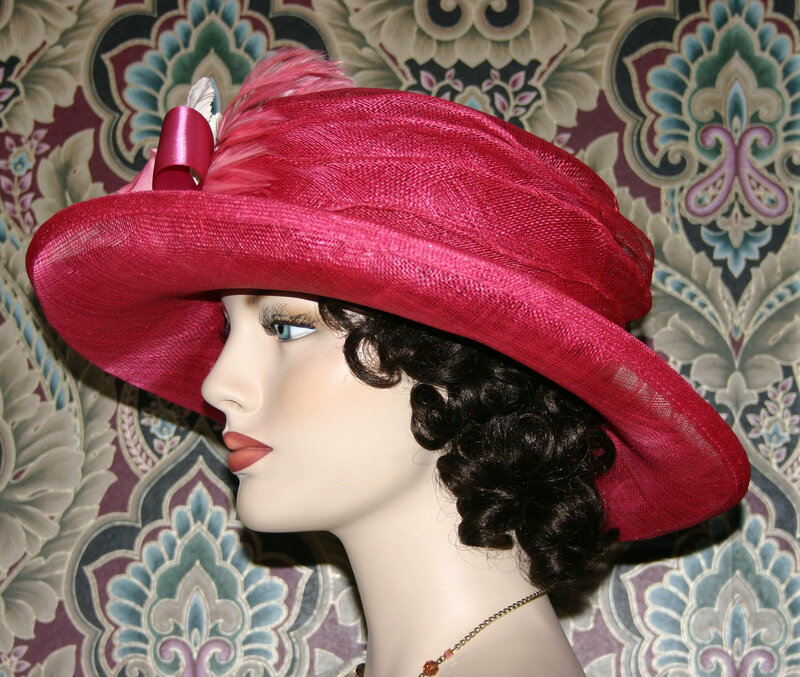 Mademoiselle Giselle is a One of a Kind designed over a hot pink sinamay hat base. 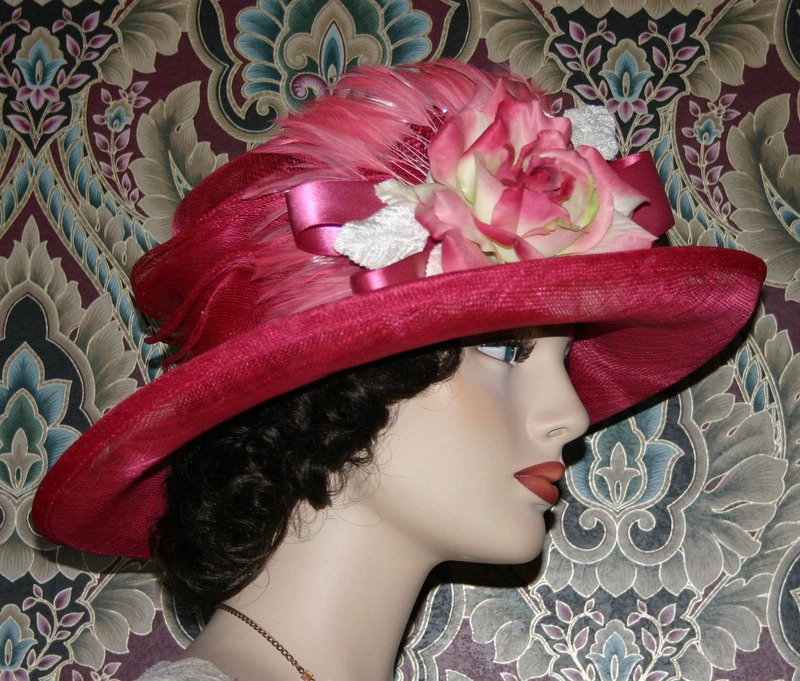 The large hot pink and cream silk rose has an element of realism...you'll be amazed! 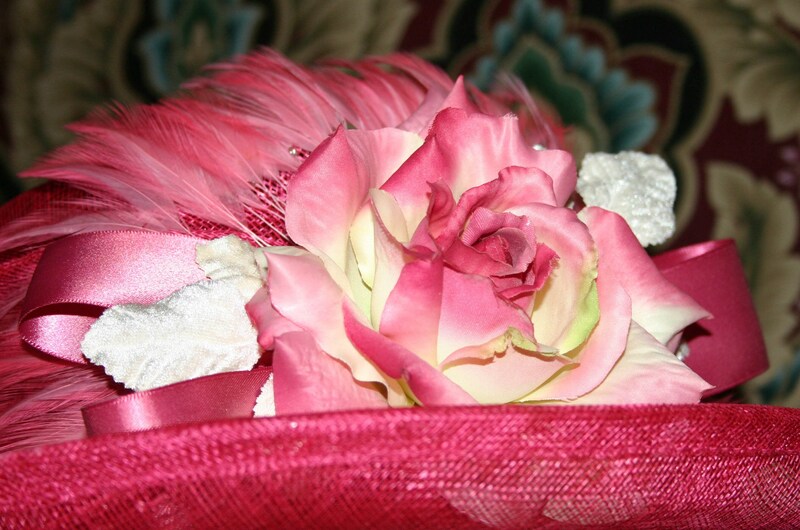 And it's set of with a perfect backdrop of petite pink coque feathers. The ribbon is dark pink satin. 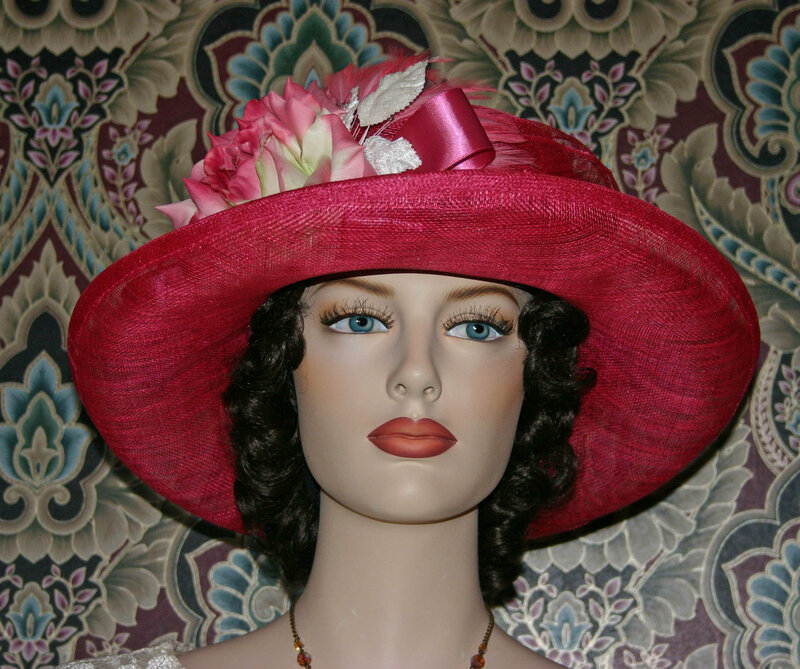 The hatband is gorgeous hot pink sinamay which gives the hat an airy appearance. 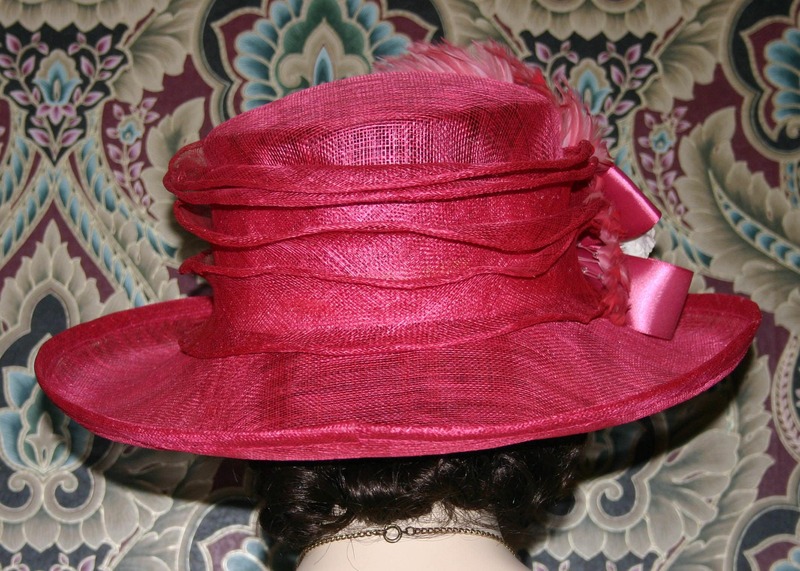 This is an Edwardian Hat Style perfect for church, wedding, Easter, Somewhere in Time weekend event, Downton Abbey Tea, Ascor, Kentucky Derby or even a Titanic event.